Tattoos have completely changed the way I think about the world around me. They remind me to live in the moment and not dwell on things or people that aren’t important. What do tattoos mean to you? My tattoos are everything to me - they’re my skin, my feelings, my experiences, my career. They don’t all have specific meanings or symbolism; a lot of them I got just because I like the way they look and the way they make me look. I also love the process of getting tattooed - not the pain, the pain is horrendous - but the time spent getting to know an artist and having them put something on your body. It’s not like anything else in the world and sometimes I am more in love with that than the final tattoo itself. 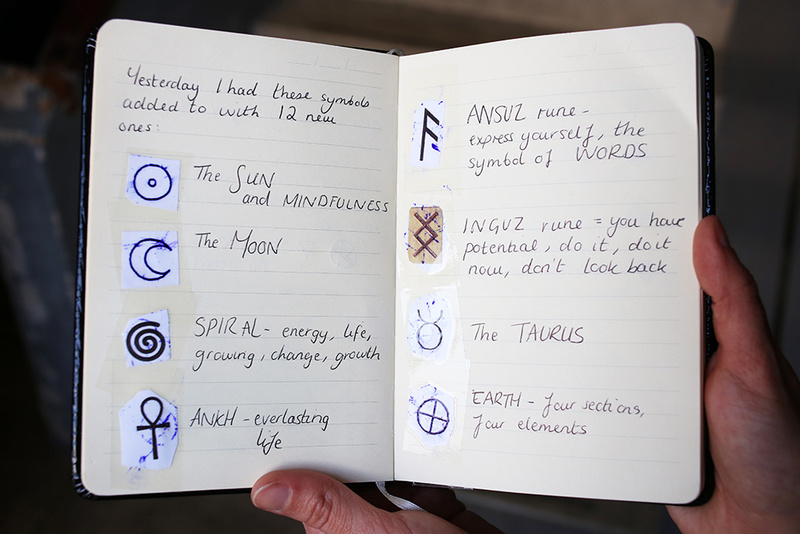 For me, ’the tattoo’ is one of the most interesting objects/concepts/feelings/however you want to refer to it - and it deserves to be explored and appreciated by many. Tattoos have completely changed the way I think about the world around me. They remind me to live in the moment and not dwell on things or people that aren’t important. Some people get tattoos to hold on to emotional and important moments, but for me getting tattoos is a reminder that our bodies, emotions and experiences are completely insignificant in the grand scheme of things, so we should just live our lives the best we can in the short time we are here. That all sounds really depressing as I read back, but I actually really do take a positive message from my tattoos! Tattoos allow me to be creative, thoughtful, beautiful - a lot of things that I struggled to hold onto before. When did you start writing about tattoos? Can you tell me a little bit about how that journey began? When I was younger I wanted to be ‘a writer’. That was my thing. After college, that dream inside me sort of disappeared as goals of getting a degree and a paid job got in the way. I fell into marketing and it’s what I've done for the last seven years. In 2014, I was going through a pretty crap time. I was living in London doing a pretty stressful job in a chaotic environment and whilst it was a whole load of fun, it made me reevaluate what I was doing with my life and whether I was on my destined path. My mum was the one who reminded me of my writing ambitions and encouraged me to start a blog. I made an impulsive decision to start a tattoo blog as tattoos were the thing I was most passionate about, and the rest was history. I don’t know how to not push myself - I don’t know where it’s come from, but I can’t just do something a little bit, I have to hammer it hard and do as much as I can. So, just over a year later, I am now running my tattoo brand and blog Inkluded, writing for the UK’s biggest tattoo magazine (Skin Deep) and for the world’s biggest tattoo blog (Tattoodo). I'm still doing marketing as I still have a geeky passion for it, but it’s nice to now be writing about something I have an interest for too, and at such an interesting time for the industry. I feel privileged to be part of the tattoo industry in this country, we have phenomenal artists that work every waking second to create work for other people’s bodies… it’s not like anything else in the world. we should be inspiring as many people as possible to engage with art - whether it’s going to a gallery or getting a tattoo. If you could change something about the way tattoos are portrayed in mainstream culture what would it be? Gosh, what a massive question. There is huge debate about this in the industry at the moment. 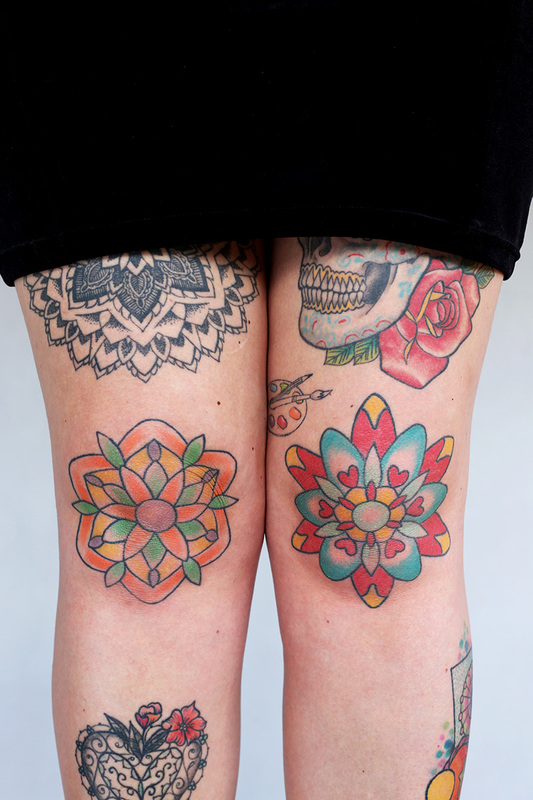 Many artists who have been tattooing for years feel that mainstream culture is having a negative impact on tattooing. 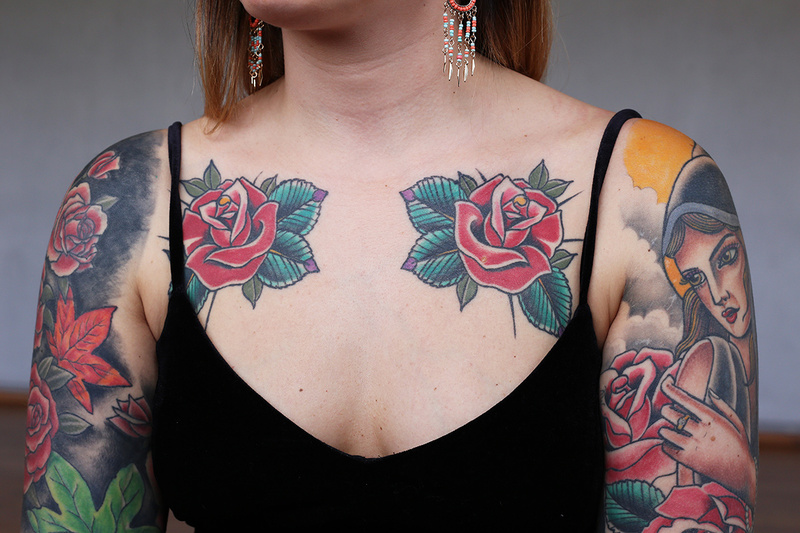 A huge proportion of the people going into tattoo studios for work look to celebrities, tattoo TV shows, or what’s trending on Instagram, for their tattoo inspiration. Blogs and magazines should seek to change this and get more people passionate about art and the infinite variety of tattoo styles out there in the world. Tattoos are also not as underground and alternative as they were 20 years ago and a lot of tattoo enthusiasts don’t like this. I'm less bothered by this as I'm all about inclusivity, and we should be inspiring as many people as possible to engage with art - whether it’s going to a gallery or getting a tattoo. 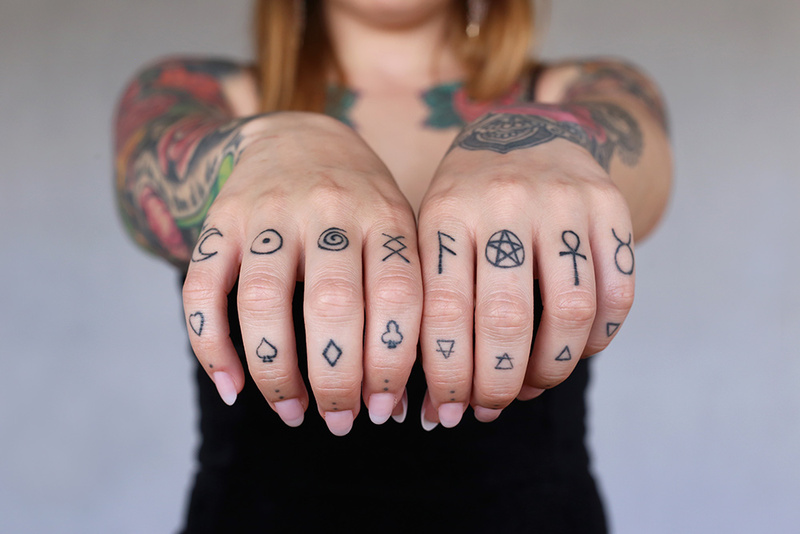 The thing I’d change is just educating those people a bit better about why tattoos are so interesting and exciting, not because they will look cool on your Instagram feed, but for a million other cultural, spiritual and artistic reasons. 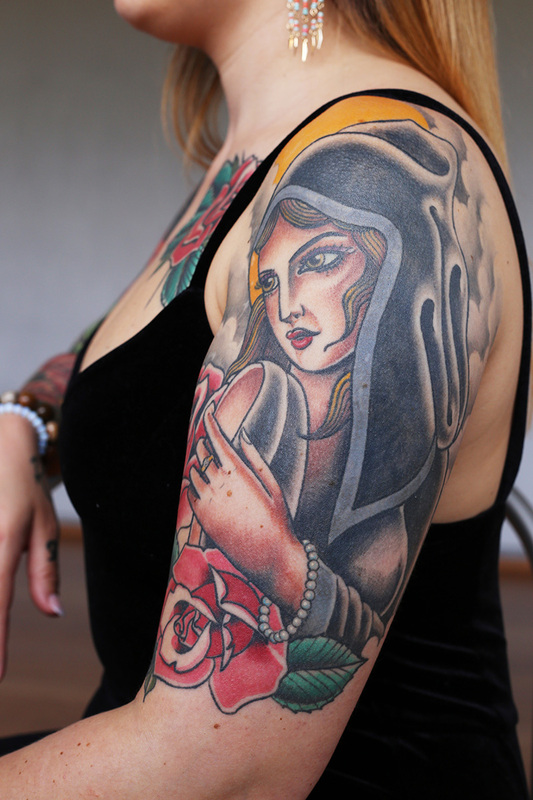 I get asked a lot about whether I think women with tattoos receive more judgement than men with tattoos. In other words, people want to know if the prejudice is gendered or whether the taboo lies with tattoos themselves. What's your take on this? I haven’t experienced any gender inequality myself and have never felt judged on my tattoos just because I'm a woman. I am really lucky that I have worked in jobs in the arts and media where it’s been acceptable and encouraged for you to express yourself creatively. I do know women who haven’t had the same acceptance and had to cover up their tattoos, piercings, etc for their work, family or in other social situations. I think tattoos are so much more accepted today and it’s going to just keep going in this direction, hopefully. 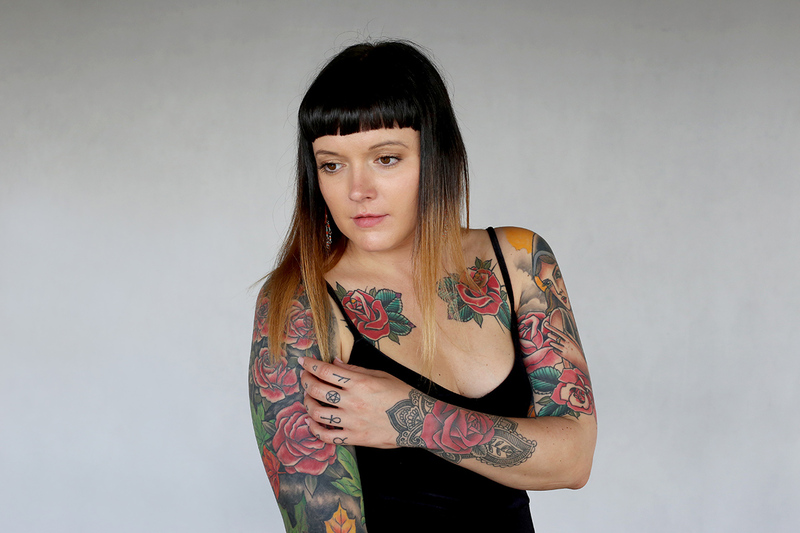 Sometimes I feel like there's an expectation for my tattoos to be visible because I run Women with Tattoos and I wondered if you ever felt this pressure as you were establishing yourself as someone who writes about tattoos? What an interesting question! I have never really thought about it in that way, but yes, I guess I should as a tattoo writer put pressure on myself to have visible tattoos done by good, respectable artists. 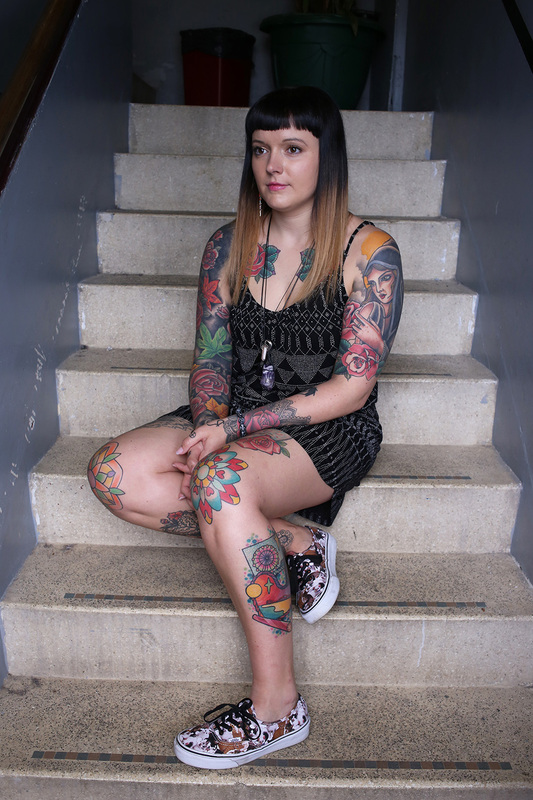 From my own experiences, and the artists I have interviewed and worked with, I can conclude that the tattoo industry is a pretty non-judgemental place. Don’t get me wrong, there are cliques, gossip, industry arguments and playground fighting, all of which I steer clear of as I'm always campaigning for people to be kind and collaborative, to work together not against each other, as naive as I may be saying this. But in general most of us that get tattoos do so because we want to be free from expectation and judgement, as contradictory as that sounds. We’re putting images all over our bodies, so we should expect to be stared at, right? Wrong, that’s the whole point! Are you planning to get any tattoos this year? I've just recently gone self-employed, meaning I’m having a good few months of finding my feet with no steady income, so I haven’t got any tattoo appointments in my diary for the first time in years! I'm finding it really hard and dying to book something soon! I have a list of about 20 different tattoos on my wish list, one of which is to have my back re-worked by my good friend and tattoo artist Hannya Jayne. 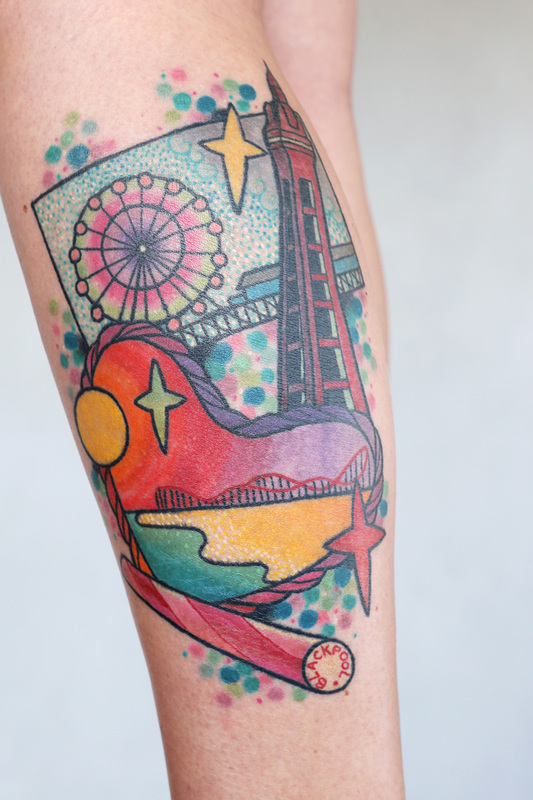 I also have a tattoo planned for September/October time as I'm hoping to travel the West coast of America and get a tattoo from an artist in Vegas along the way. Artists I would like work from soon are Keely Rutherford, Paula Castle, Roxy Ryder, Becci Boo... oh, far too many to list! Is there a tattoo you're really tempted to get, either in terms of design or placement, that you're not quite ready to dive in and get? No, I’m completely impulsive so I’d just get it. Most of my tattoos have been quite quick decisions and I’ve never thought too much about them. This is NOT the advice I would give other people. I made a lot of tattoo decisions quickly in my early 20s and now having a lot of work redone. Now I know which artists I know, love and trust and would dive in and get a tattoo from them today if I could. I think most people who get sucked into being tattoo fanatics and want to cover their whole bodies end up doing the same in terms of regretting those early decisions. As you end up discovering more amazing artists, you always wish you were a blank canvas. This is also why I choose to just go with the flow, getting tattoos without too much thought and living for the moment… you could over-analyse every tattoo decision no matter how long you spent planning it.